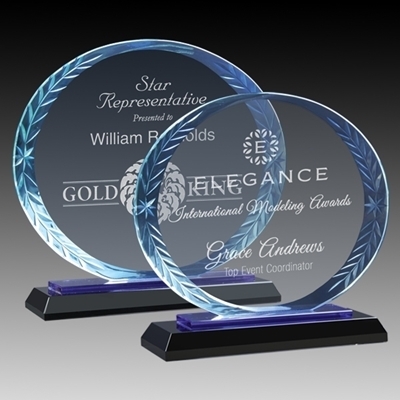 Clear acrylic wedge with reflective ice texture mirror base that creates a color reflection throughout the piece. Freestanding, 1.25" thick. Two sizes, two colors.